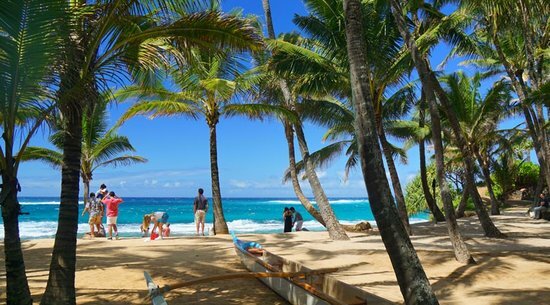 Maui offers a plethora of opportunities for every type of vacationer. Whether you’re the “go big or go home” Haleakala mountain biking adventure type or more likely to be found sun worshipping on the sand next to a Hawaiian monk seal, your Maui vacation is incomplete without at least one memorable meal. Options abound, but too many choices are not always a good thing. So let’s focus on having fun. We’ve taken the work out of narrowing the field of worthy suitors down to some of the island’s culinary highlights for your big splurge. With a focus on seasonal, locally sourced small plates meant to share amongst a table of loved ones, Andaz’s Ka’ana Kitchen gives you a taste of Hawaiian tradition. This friendly, modern restaurant also offers an incomparable sampling of contemporary Hawaiian cuisine. 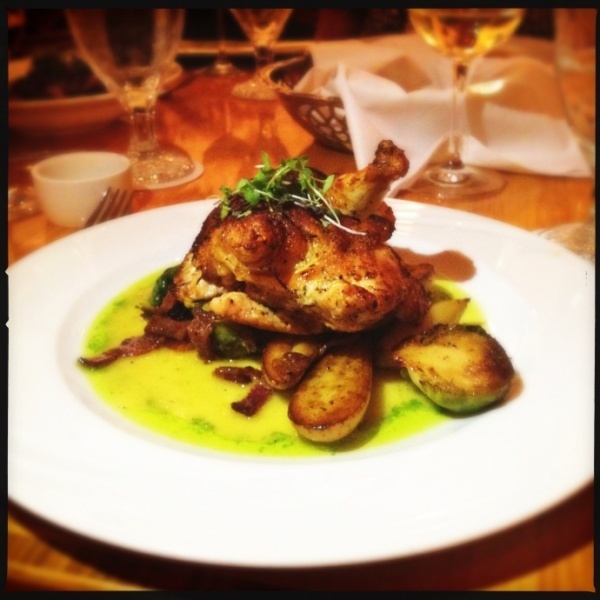 Menu options are sorted by source – local farms, ranches, and fisheries. Standout choices include abalone risotto with kampachi bacon, grilled octopus with asparagus or ahi tataki with fresh burrata and liliko'i. Got a sweet tooth? You’ll be dreaming about the Surfing Goat cheesecake with lemon curd for months to come. If your idea of heaven involves the holy combination of steak and seafood, Duo at the Four Seasons Wailea may as well be right behind the pearly gates. Their traditional steakhouse menu includes grilled-to-order New York strip, filet mignon, rib eye, and porterhouse cuts. Too conventional for your tastes? 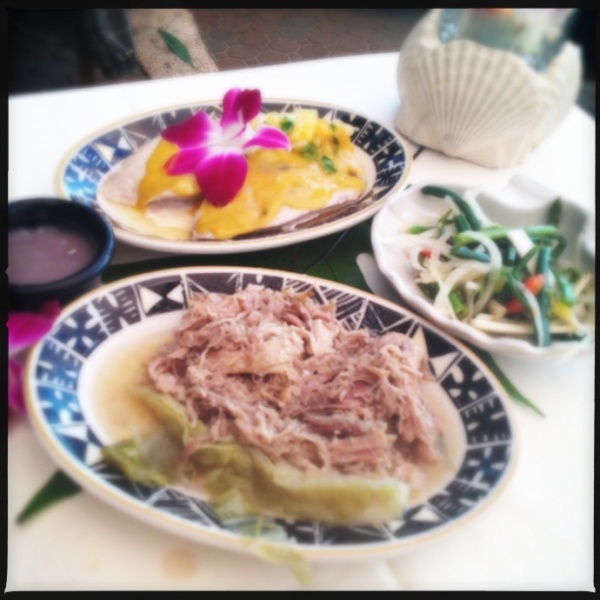 Big Island wild boar stew and pan seared island fish also grace the menu. 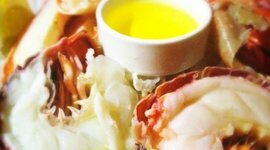 If impeccably fresh seafood is how you like to party, the all-you-can-eat raw bar features three to five types of raw oysters, ceviche, poke, shrimp, snow crab claws, and even Kona lobster. Feast like a roman emperor while you enjoy the romantic poolside ambiance and superior service. Your taste buds will thank you. Koiso Sushi Bar in Kihei has achieved near-legendary status on Maui. Its notoriety extends beyond the stellar food (the best you’ll find outside Tokyo) to its seeming exclusivity. No, it’s not in a fancy resort or limited to visiting movie stars. Fact is the tiny restaurant – located in an obscure strip mall in South Kihei – only has seating enough for 15, think Jiro Dreams of Sushi. So make a reservation or make other plans. It’s just one of those places. 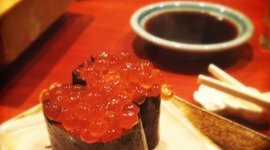 That said, Koiso is ‘the’ spot for people interested in the traditional and simple Japanese-style pleasures that only nigiri and sashimi can provide. Choose from favorites like fresh local uni, ahi, or hirame (flounder) sourced from Maui waters. Don’t know what’s best? You simply can’t go wrong with the omakase (chef’s choice). You may think of luaus as a prefab hula-themed party with vats of buffet-style kalua pig, lomi lomi salmon, mac salad, and poi. This is not that. 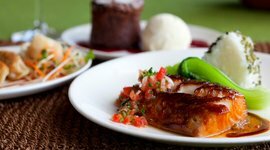 The Feast at Lele is a five-course, sit-down dinner offering a royal cultural and culinary tour through Samoa, Tahiti, Aerotera (New Zealand), and the Hawaiian Islands. The food is authentic to each region and the related stage entertainment is an excellent pairing. Its both a night of entertainment and an education on the roots of the cultures and foods of Polynesia. You can expect exotic dishes such as a pohole fern, asparagus, and heart of palm salad (Hawaii); Kuku patties, a fishcake made with scallops, shrimps, and fresh fish (New Zealand), and Eiota (poisson cru or ceviche). 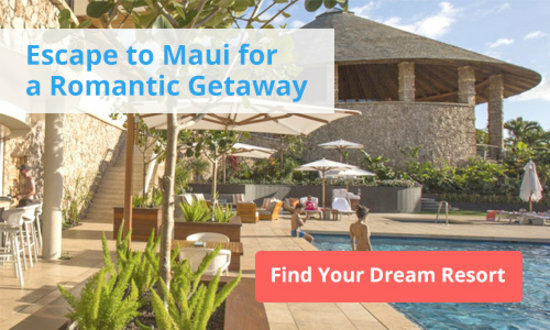 Looking for the perfect Luau on Maui? Check out our ultimate Maui Luau guide. 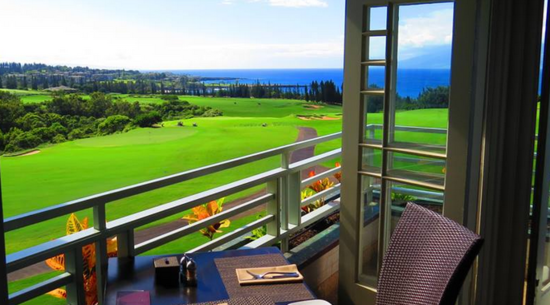 Breakfast, lunch or dinner, the views from Kapalua’s Plantation House Restaurant are sure to impress, and sunset vistas elevate the wow factor to truly spectacular, postcard-worthy levels. 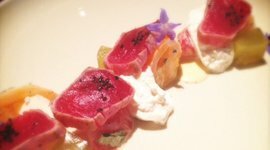 Add in the impressive wine list or delectable dishes like kampachi tartare, Hawaiian snapper with faro pilaf or the 14 oz. lamb rack, and you’re all but guaranteed a night that is truly unforgettable. 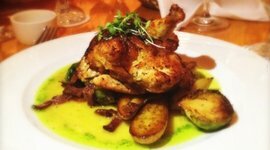 There are several reasons this fine dining Hawaiian restaurant chain dots the state of Florida, nearly 5,000 miles away; it’s the elegant, yet laid-back ambiance combined with aloha-friendly service. One explanation, however, outshines the rest – the food. The menu offers something for everyone. From the modern Hawaiian classic of macadamia-nut crusted mahi mahi to Roy’s misoyaki butterfish or crab dynamite crusted tiger fish, this is Hawaiian fusion done right. You’ve likely heard the buzz already…and it’s well-deserved. There’s a reason Mama’s Fish House was named the second best restaurant in the United States by Open Table. It’s fantastic. Set on a secluded cove and surrounded by flickering tiki torches and the gentle murmur of lapping waves, Mama’s is a Maui institution. The setting is romance defined, but there’s more to this fish house than candlelight, Polynesian ambiance, and prime photo opportunities. With fish so fresh it was swimming that morning, Mama’s not only offers you expertly prepared local fish, but a story behind how it made it to your plate. The menu changes daily and you can expect to choose between options like mahi mahi caught along the north shore by Eric Nakamura and Eric Machong or Mark Stephens near South Point. Sit back and relax until your food arrives with the knowledge that whatever you chose, you chose well. Bev Gannon’s Hali’imaile General Store is something of a legend on Maui. First off, there’s pretty much nothing to see or do whatsoever in Hali’imaile, so the mere fact that visitors and locals have trekked up here for decades speaks for itself. Secondly, it has not one, but two cookbooks bearing its name: The Hali’imaile General Store Cookbook and Family Style Meals at the Hali’imaile General Store. The airy, plantation style building offers a variety of Hawaii-influenced, Southern-style classics. One of the most well-known and enduring items on the Hali’imaile General Store menu is the macadamia nut crusted fresh catch. The delicate fish is lightly coated with macadamia nuts and perfectly cooked until flaky. 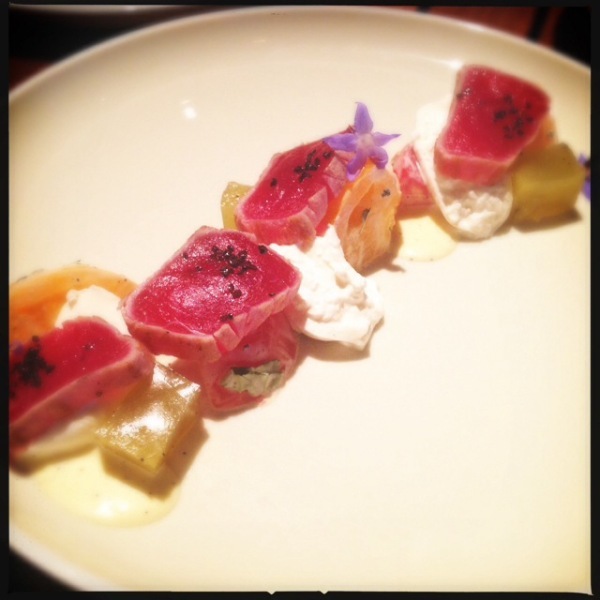 Other standouts include the sashimi napoleon, roaster Meyer lemon half-chicken, and the grilled rack of lamb. Putting herself through school by cooking professionally, Vanessa went on to earn her MBA. After a corporate career, she decided to give it all up to chase her dream of being a food and travel writer. 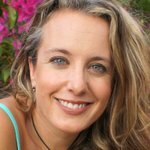 Splitting her time and taste buds between the beautiful island of Maui and the vibrant culinary playground of San Francisco, she’s never met a slice of hamachi sashimi, har gow dumpling, or raw oyster she didn’t like. Now with a newborn, she begins her next adventure in motherhood. This hidden gem, is basically in the middle of nowhere. But those who make the trek out to Hali'imaile in the highlands, will be rewarded with some of the island's best cooking. 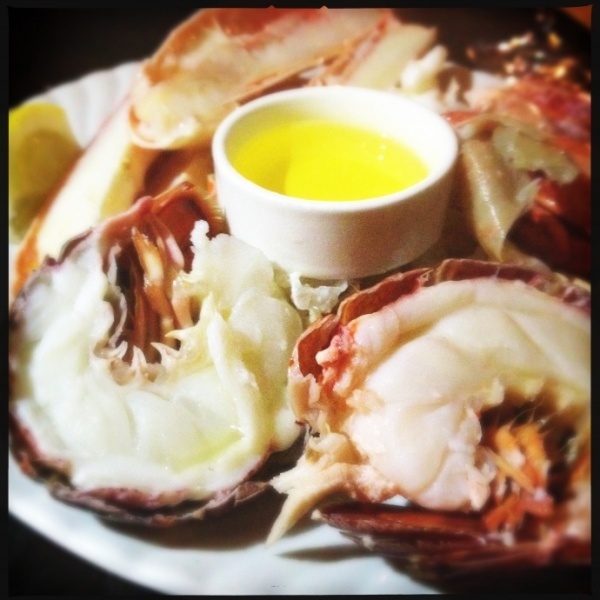 With an emphasis on local food, you get a real sense of what the island has to offer. Highlights include the Abalone Risotto with Kampachi Bacon and the Surfing Goat Cheesecake for dessert. It's Hawaiian fusion food done right. This chain may dot the state of Florida, nearly 5,000 miles away, but it still holds its own on Maui. Now for the holy combination of steak and seafood. That's the specialty here at this open-air, Four Seasons restaurant. It lives up to the hype! Dine on fish caught that day and cooked to perfection in the light of flickering tiki torches over a secluded cove. 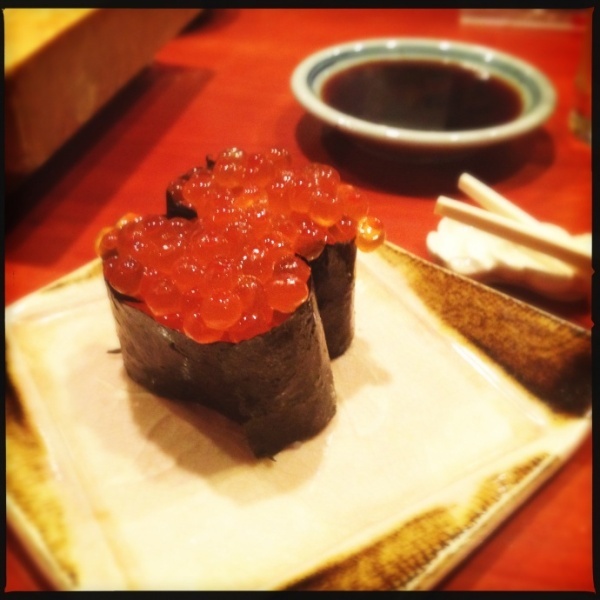 Think Jiro Dreams of Sushi. This exclusive 15-seat sushi bar serves some of the best raw fish outside of Tokyo. Be sure to make reservations well in advance!